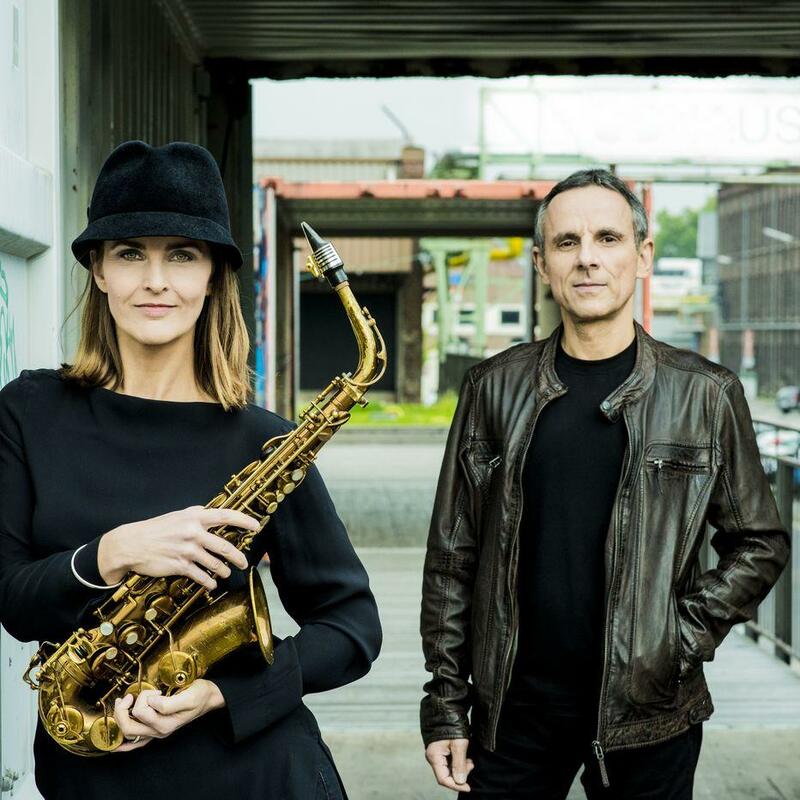 En: This compelling quartet is a close collaboration between Austrian alto saxophonist Karolina Strassmayer and her long-time musical partner, New York drummer Drori Mondlak. These two very distinct musical personalities have merged their musical visions into one. Performing Strassmayer's original compositions, KLARO! fuses the romanticism of European classical and folk music with the rhythmic fire and swing of American jazz and the harmonic sophistication of contemporary improvised music. Karolina Strassmayer was voted among the Top Five alto saxophonists in Downbeat Magazine Reader's Poll and carries the distinction of being the first female member of the Grammy Award winning WDR Big Band Cologne. She has performed with McCoy Tyner, Joe Zawinul, Joe Lovano, Chris Potter, John Scofield, Mike Abene, Vince Mendoza and many other jazz greats. Drori Mondlak is one of today's outstanding jazz drummers and band leaders. In his eclectic work in New York City he played with many jazz luminaries such as Frank Foster, Joe Williams, Chris Potter, Lew Tabackin, Ernestine Anderson and many more. In Europe, he performs with Lee Konitz, Sonny Fortune, Barbara Dennerlein, David Friedman, Lynne Arriale, Pablo Held. Rainer Böhm has made a name for himself as an internationally sought-after pianist in the jazz scene. He teaches as a professor of jazz piano and ensemble direction at the University of Music in Nuremberg and Mannheim, Germany. He was awarded the New German Jazz Prize and the 2010 State Jazz Prize Baden-Württemberg.